My X axis uses a spacer plate that is bolted via the old apron mounting holes. On this sits the bearing block. I'm using 2x deep groove ball bearings (from VXB.com) at present, but will move to angular contact bearings eventually. The bearing block allows the cross slide to pass over the top (just, ~0.5mm clearance) - this means the cross slide travel is only limited by the length of the screw (my screw sticks out the back a fair way). I've drilled holes in the back of the cross slide and mounted the nut there (rather than using the existing nut holes). I get 150mm cross slide travel with the stock cross slide. The real limiting factor is the gibs and gib screws. If I add more gibs screws between the existing I can probably get a little more travel. Eventually I plan to make a new cross slide, probably with T slots for easy gang tooling, which will be longer and have longer travel. On the front of the spacer bolts the stepper plate. 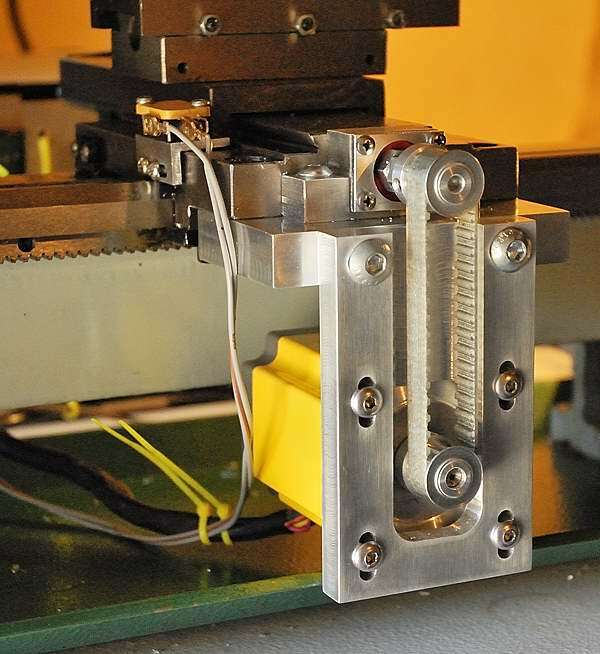 As you can see the stepper mounts to slots - allowing for the belt to be tensioned. 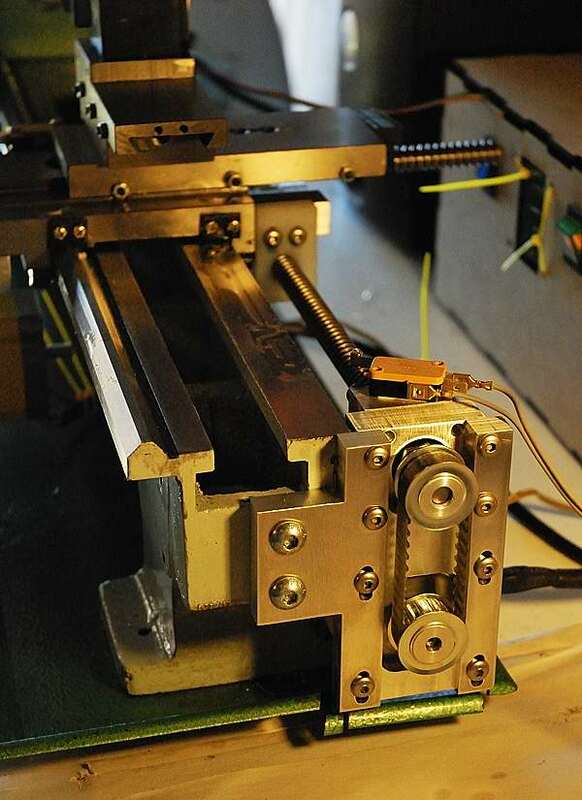 My Z axis just requires two holes drilled and tapped in the end of the lathe bed. The plate bolts there and the rest of the hardware is attached to the plate.